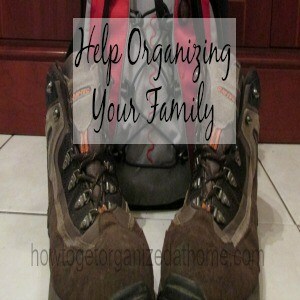 Organizing your family isn’t always easy, trying to fit everything in can become complicated and it is not without stress and heartache too, when something doesn’t go according to plan. However, it will depend on your organizing skills as to the effectiveness of your home life in relation to the levels of stress and getting the best out of your available time. There are different areas in your day that if they are planned differently they become less stressful and more manageable. Do you have to get out the door by a set time each morning and you always seem to be running around in circles trying to get everything done and everyone ready to step out of the door on time? There is an easy way that can make this time more manageable and less stressful. It is as simple as being prepared, getting things ready the night before might seem like something that seems too easy but that is why it works so well. If you prepare things so they are ready for the morning it can take the stress out of the morning rush. The less you have to do, the more time you will have; it is a great idea for children to learn the routine that they need to follow, I have seen it work well, helping them to get ready on time. If there are after school activities which your children attend, sometimes fitting these in, especially if you have multiple children, can seem like a challenge that you never will fully accomplish, but it is possible with planning and sometimes a bit of luck you can manage your family’s activities. The key to working out what you need to do and when, is to ensure you have scheduled all activities into your planner, only then will you know if it will fit with what you have already got scheduled. Then any new information gets recorded or there’s the possibility something gets missed. My children had to give me dates and I would check my schedule before giving the go ahead on anything. Sometimes fitting it all in can mean that you might have to schedule a meal for a different time or even to have it prepared in a slow cooker for when you get home to ensure that everyone has a proper meal. It does work and with time it can get easier to manage. Meal times are the most challenging of tasks that you need to prepare for, just pulling something out of the freezer at a moment’s notice doesn’t always work. It can mean that you are not providing a well-balanced meal or often it doesn’t fit with everyone’s likes. This is where meal planning comes in, it can save time as you can prepare the items you need in advance, if necessary. You have more of an idea what you need when shopping and this can save you money too. If you have picky eaters you can get them to help think of foods that they will enjoy and by showing that everyone has to make compromises makes it easier to encourage them to eat meals that aren’t necessary their favourite food. Therefore, if you consider planning your day in advance, it can save you time and your sanity when you are trying to organize your family. It is funny how I do things that I never realized were “organizing”. They do make for a much simpler and easier day! We definitely have a morning routine and evening routine as well. It makes things go much more smoothly. Thank you for sharing at Snickerdoodle. Great tips!